Birmingham Poetry Review is a journal dedicated to poetry, essays about poetry, and interviews with poets. The journal is published annually by the University of Alabama at Birmingham and was founded in 1987. The spring 2016 issue is roughly 200 pages, neatly bound featuring cover art by Debora Greger. Memories form the largest critical mass in my conscious and unconscious life. They’re the keepers of life’s experiences.... Of course, the challenge is to recognize how memories can energize a poem, provide an emotional connection for the reader, and also reach out into some larger sphere. Eric Smith’s complementary essay on Ras’ poetics is astute and illuminating, providing an informative overview of her work. The contributor poems are somewhat varied in form, though mostly conventional free-verse with typical subject matter. 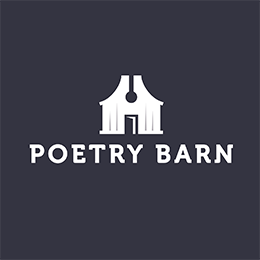 For instance, there are two poems by two different poets titled “Pastoral” and another that references the subject, albeit sardonically: “The very word pastoral raises my hackles” (“Spring Baring Arms” by William Logan). The poems throughout are for the most part observational and confessional. There is a touchingly beautiful prose poem by Sean Thomas Dougherty called “My Youngest Daughter Brings Me Daises and Bits of Plastic Trash,” a subtly formal poem by George David Clark called “Poltergeists” with rhyming quatrains, and a pantoum by J. Bruce Fuller called “The Penitent Magdalene.” There is also a section of five poems by the Brazilian poet Salgado Maranhao translated by Alexis Levitin. L.S. Asekoff’s poems stand out for their daring abstract expressionism and surreal imagery: “Scything the azure waves, / A woman rides the back of a dolphin. / Through your spyglass you can see / The seaweed of her long flowing hair” (“Merleau-Ponty Is a Bridge between the Mother & the Sea”); and rich, evocative symbolism: “He had sailed his boat into another man’s slip. Who would remember his name when he awoke? A door half open to hidden interiors gave him a glimpse of rich brocade, shadowy opulence, a gold charcoal glow, an oval darkness like a luminous egg, cut diamonds echoing stars” (“Teragon”). There is a featured essay by Kieran Quinlan about Seamus Heaney which seems mostly anecdotal and incidental: a reminiscent account of the author’s tenuous acquaintance with the poet, whom he only met once at Vanderbilt. Although Quinlan does focus briefly on Heaney’s Irish nationalist sympathies, he offers no compelling revelation of the poet’s life or work, other than maybe the somewhat lame conclusion that “Seamus is almost too famous.” It is puzzling as to why the essay was included other than the fact it’s about Seamus Heaney and written by a professor at UAB. Overall the Birmingham Poetry Review is an establishment journal for established poets, writers, and academics. The majority of the contributors have published at least one book, some as many as fifteen; all have presumably at least an MFA, some doctorates; several are the recipients of NEA, Guggenheim, and other notable grants, awards, and fellowships,; and their combined publication credits include Poetry, AGNI, Ploughshares, Prairie Schooner, The Atlantic, The New Republic, The Paris Review, North American Review, American Poetry Review, to name the biggies. For those at the middle or apex of their career, BPR is a great journal to submit to. But for those just starting out, or for those with a more experimental bent, BPR may not be the best fit.